This is a free app that can be played on both iPhone and iPad. 1. Word Completion - this is for smaller kids who have to look at the given picture and fill the blanks to complete the word. 2. 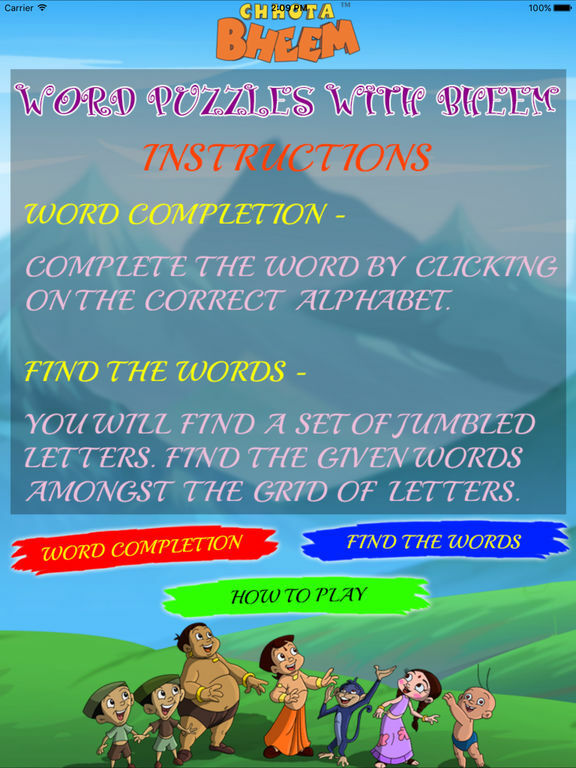 Word Puzzles - this is for older kids and parents who will have to find words amongst grid of letters. Every time you play you will get a different puzzle. 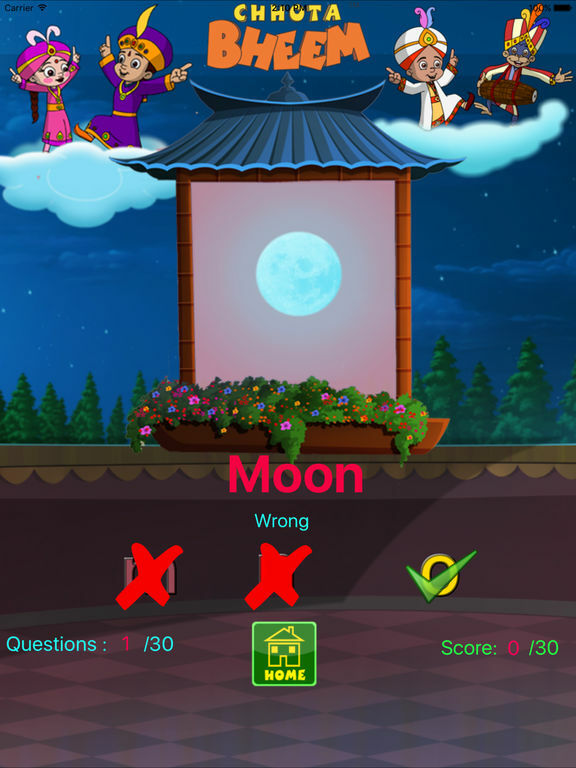 These games will help you improve your spellings and vocabulary. It will also keep your brain sharp in searching for words in as short time as possible. You can click on "how to play" button for help. 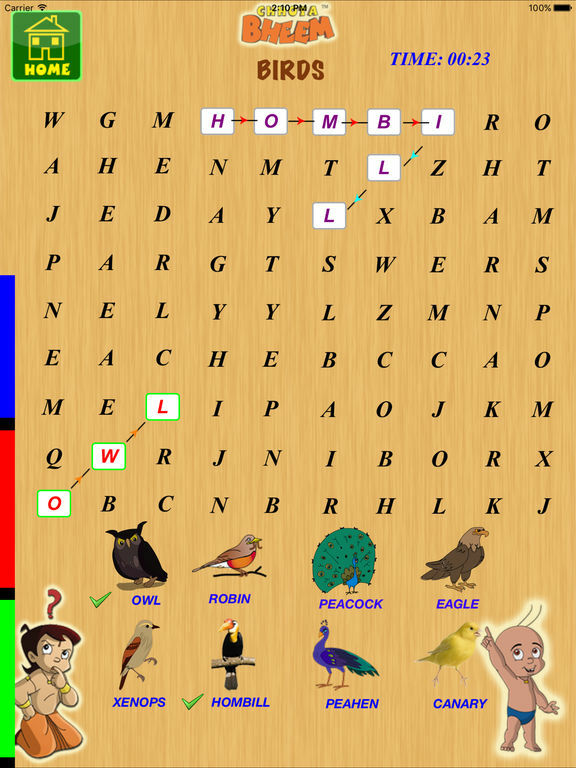 Animals, Birds, Vegetables, Fruits, Professions, Vehicles, Colors, Shapes, Chhota Bheem Characters and Mighty Raju Characters.